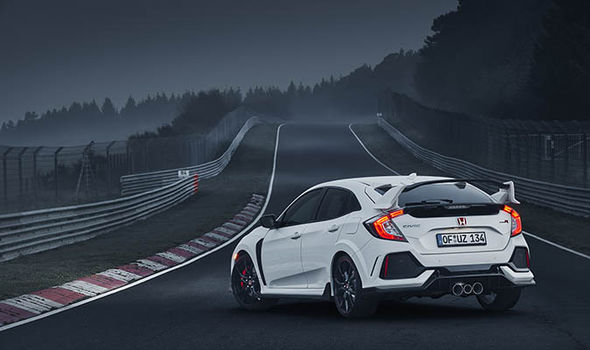 The new Honda Civic Type R, performance hatchback car, has just set a new lap record for a front-wheel drive car at the Nurburgring. An 3 April 2017, a development car lapped the world-famous circuit in a blistering 7 minutes 43.8 seconds. It marked an almost seven seconds improvement on the model’s predecessor’s previous time. Honda stroke lucky with the conditions with a dry track and optimum ambient temperature for the best tyre and powertrain performance. This record followed the car’s successful debut at the Geneva Motor Show before production of the car begins in summer 2017. Honda say the tenth generation Civic it was developed for ‘the most rewarding drive’ in the hot hatch segment. Powering the hot hatchback is a refined version of the 2.0-litre VTEC Turbo engine which produces 320PS and 400NM of torque. This is paired with a six-speed manual transmission with lower gear ratios than the previous generation, which is said to improve acceleration. Pairing with this is the Type R’s aerodynamic package which improves stability and best-in-class balance between lift and drag. Other factors that helped the Type R clinch the fastest lap is the 16kg wight reduction and torsional stiffness improvement of 38 per cent. Ryuichi Kijima is the lead chassis engineer for the Honda Civic Type R.
He explains where the all-new model shows the most significant improvements around the Nürburgring compared to the previous generation car. 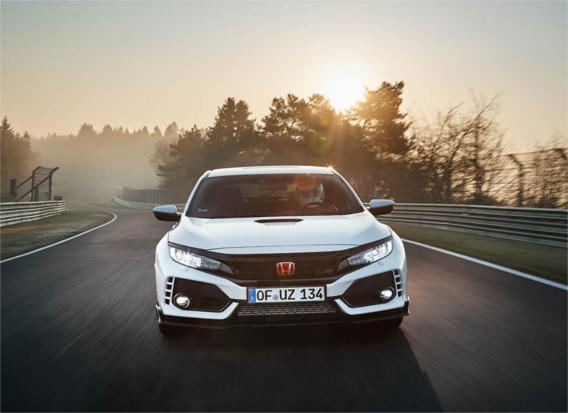 “The cornering speed achieved in the new Type R is higher because the car features a wider track and tyres, a longer wheelbase, new multi-link suspension in the rear and optimised aerodynamics that improves stability, ” said Kijima-san. “For example, drivers typically enter the corner after Metzgesfeld at around 150 km/h. "Even at this medium-speed corner, the speed is around 10 km/h higher due to the new Type R’s excellent stability. 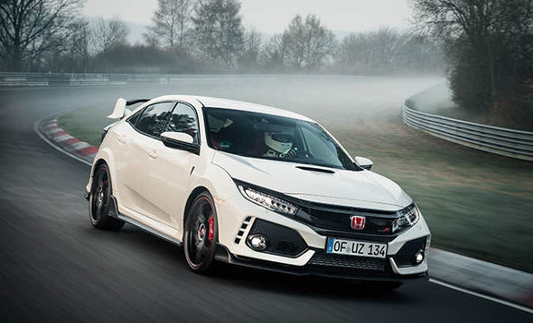 Production of the new Civic Type R will begin in summer 2017 at Honda of the UK Manufacturing (HUM) in Swindon.